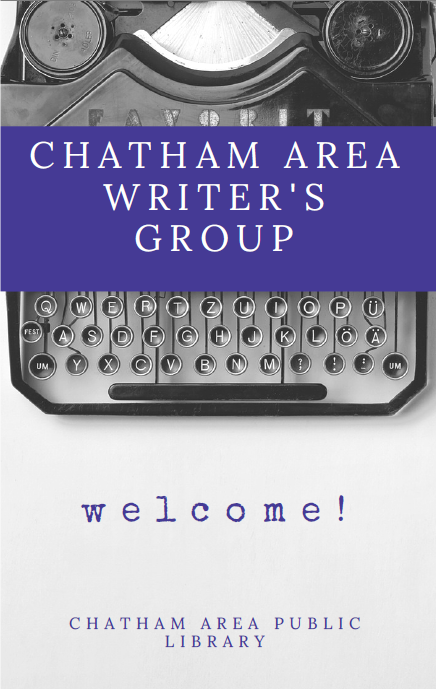 The Chatham Area Writers’ Group welcomes writers of all levels of experience and working in any genre to attend our meetings. Please email [email protected] for more information or to be added to the group’s email list. We meet on the 4th Tuesday of each month at 6:00 p.m. in the library’s conference room.